Scott Summers is one of the five original members of the X-men, the leader of the field of operations of the group and a man known throughout history because through his children Nathan Summers and Rachel Summers, the future of humanity and of the mutants was changed forever. Scott's mutant power optic blasts are very powerful energy that can only be contained by ruby quartz crystals. If he does not use his special glasses on his eyes, he cannot control the destruction and protect those who are close to him. 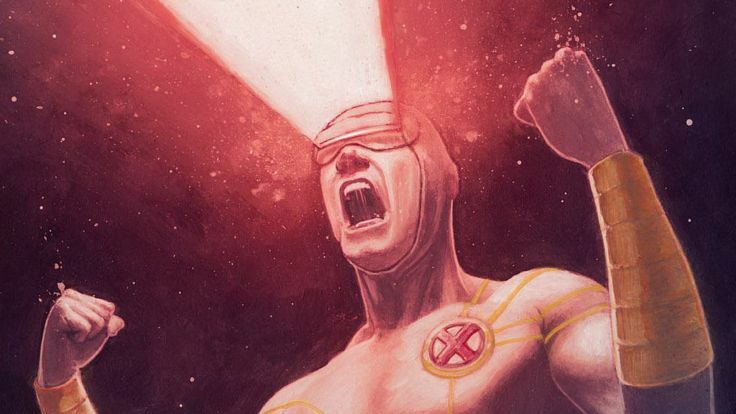 Cyclops as a dense character would require some more posts for the discussion of his characteristics, but for now, I will compare his glasses and optic blasts with our Christian life. As Scott, we have a destructive nature, if we count only on ourselves; we know that we are flawed and hurt people close to us. We all need a barrier that can help us to control our emotions and our evil nature. We do not have a ruby quartz visor, but we don´t need it, because we have more powerful! The Word of God is our manufacturer's manual, where we can learn and know who we are and who we can become if we seek to change and follow the principles contained therein. It’s the only way on earth to be a better person really. Have you read your Bible today? Do this, and be happy!